This week, in what may be one of the stupidest marketing ideas in history, Budweiser announced that it was renaming its flagship beer “America” for the summer of 2016. 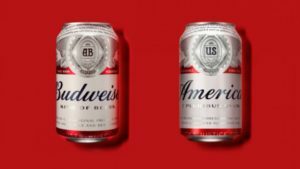 Cans of the beer will have the iconic Budweiser label replaced with one that simply reads “America”. Apparently the Belgian-owned company believed that this would help them sell more beer, but given the instant and widespread ridicule that the idea was met with, it seems that whoever dreamed up the idea may have consumed too much of the company’s product before proposing it. The college football conference formerly known as the SEC released this satirical article announcing it was changing its name to simply “America”. #Budweiser already makes us fat, loud, lazy, and stupid. So isn’t calling it “America” just a little redundant? Personally, given that Budweiser has been steadily losing market share to craft breweries for years, I think that if they wanted to do something patriotic with their beer cans that would actually increase sales, they should have simply changed the label to say “Samuel Adams”…and then changed the beer on the inside of the cans to Samuel Adams also. What can small businesses learn from the Budweiser America fiasco? All joking aside, there are a few good lessons about marketing that small business owners can take away from this story. The first lesson is the importance of doing market research and testing ideas before rolling them out. For example, if you are designing a new logo for your brand, have your customers vote on several possible designs. If you’re getting ready to purchase an expensive newspaper ad, first test various headlines and ad copy in pay-per-click ad campaigns on Facebook or Google to see which ones get the highest click-thru and conversion rates. If you are thinking about changing the name of one of your products or services, ask your customers for feedback before doing so. That will prevent you from making a decision that you might regret. Let’s face it, despite all the ridicule Budweiser is being subjected to over their “America” beer, their sales probably won’t suffer too much if any. 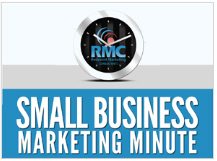 The typical small business, however, can’t afford to make these kinds of mistakes. No, I’m not suggesting that you re-name all your products or services “America”. However, it is true that sometimes simply changing the way a product or service is packaged can increase sales. For example, if a business consultant offers a free consultation to new business owners, instead of simply calling it a free consultation he could call it his “market analysis session” or “profit opportunity report” or some other more descriptive term. If you offer several different types of service plans, you could label the plan you’d like to steer people towards your “premium” plan. You get the idea…just make sure that unlike Budweiser, you ask your customers for feedback before making any changes. Unlike the King of Beers, your customers won’t ridicule you when you make a mistake–they’ll just stop buying from you. And that’s something you can’t afford. Use the player below to listen to my podcast episode about this topic.